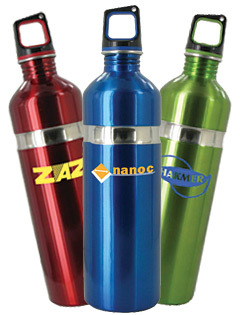 as low as $3.8 ea. 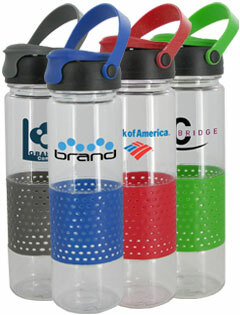 as low as $3.74 ea. 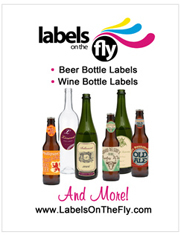 as low as $5.22 ea. 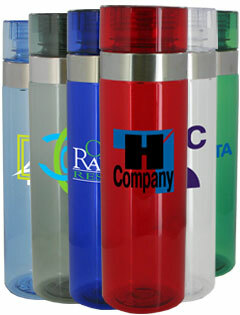 as low as $3.9 ea. 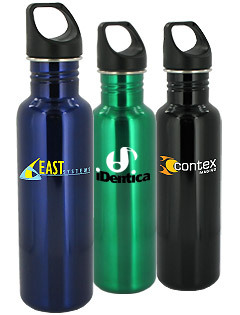 as low as $3 ea. 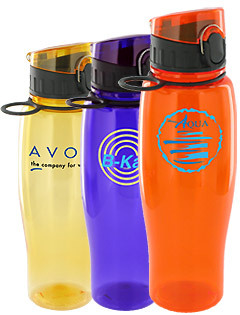 as low as $2.88 ea. 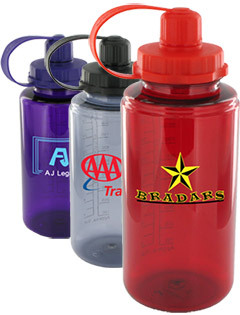 Wholesale Sports Bottles are available at a great price. 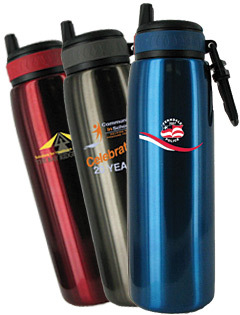 When you buy custom drinkware directly from BargainMugs.com, a factory direct drinkware manufacturer, you cut between 40-50% off the retail price. 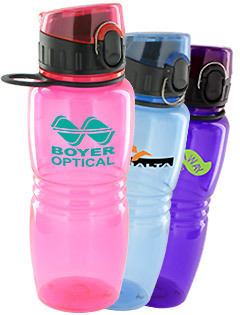 Our plastic water bottles are offered to you without the controversial chemical Bispehonol A. 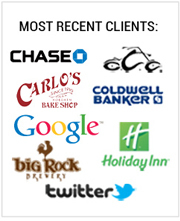 The health of you the customer is very important to us. 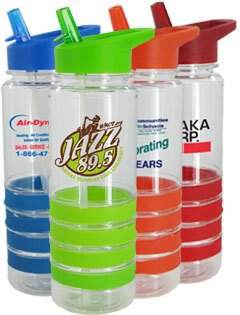 Promotional Sports Water Bottles are a great way to display your corporate logo or favorite sports team. 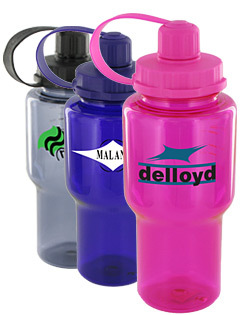 These imprinted sports bottles make great fundraisers. 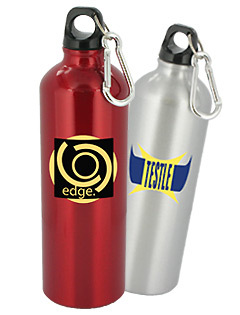 Sell the custom sports bottles at the homecoming game and watch them disappear. 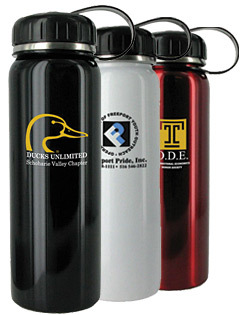 Sports Bottles personalized with a club logo can be sold for a profit to customers, while at the same time they advertise your sports club. 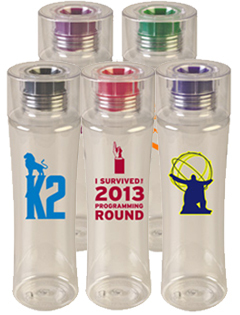 The personalized Sports Bottles are sure to be treasured by anyone lucky enough to receive them. 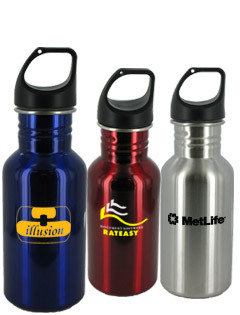 We offer stainless steel bottles as well as a wide assortment of aluminum sports bottles, plastic water bottles. 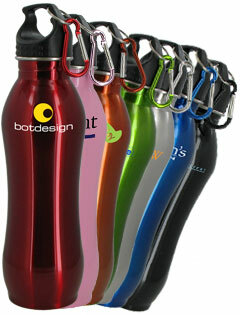 Our BPA Free bottles can also be bought blank (unprinted).